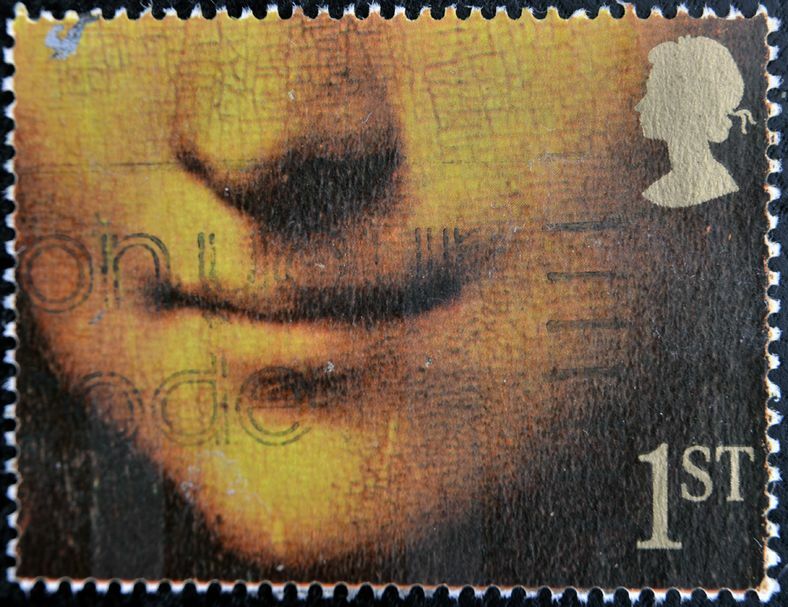 The Mona Lisa (La Gioconda in Italian) is a portrait of a woman by the artist Leonardo da Vinci. This small painting –– roughly two-and-a-half feet long by one-and-a-half-feet wide –– lives in The Louvre museum in Paris and is perhaps the most famous, most visited, most written about work of art in the world. Believed to have been created between 1503 and 1506, the Mona Lisa is thought to be a portrait of a woman named Lisa Gherardini. Valued at over $760 million dollars, it’s the most expensive painting in the world. So why all the fuss? It’s arguably her smile, or half smile, that has made the painting so famous. When you look at her expression, one minute she appears happy and the next, quite serious. The feeling she gives the viewer changes again and again and again. Neuroscientists from around the world have studied her smile and determined that our eyes’ transmitters send mixed signals to our brain when we look at the painting, resulting in her perplexing expression. So is she smiling or is she serious? Turns out it’s both. And based on notes found in the artist’s notebook, that’s just how Mister Da Vinci wanted it.